oday, more people who are diagnosed with cancer are able to live with the disease. In fact, the number of cancer survivors in the U.S. is expected to grow to about 20 million by 2026, from 15.5 million in 2016. That’s a 31-percent increase in just one decade. Despite this progress, researchers are only beginning to learn about the physical, psychosocial and financial challenges that are unique to people living with cancer. We know that there aren’t enough support programs and resources available to help people with cancer. 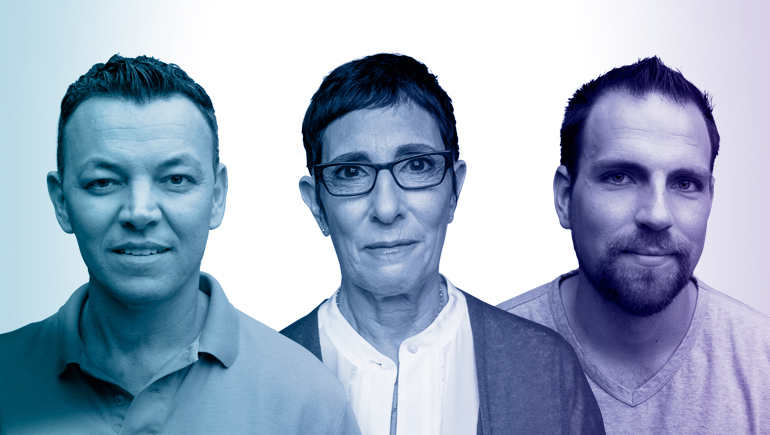 Bristol-Myers Squibb recognizes the need in the community to help people, and their loved ones, navigate life after a cancer diagnosis. That’s why we’re working with those featured below to call attention to these challenges, with the goal of helping people living with cancer feel supported every step of the way. Like many others living with cancer, Robin's cancer story is far from over. First diagnosed with cancer at age six, Ryan doesn't remember life without it. As an oncology social worker, Sara sees the gaps in resources firsthand. When Justin was diagnosed with cancer, he didn't fully grasp what would come next. As an oncologist, Tom has seen the impacts of research, and knows more is needed.